The extraordinary Alpine environment makes every hike or walk a special experience. In the company of our expert guide you’ll discover the most beautiful corners of our small earthly paradise. And this is particularly true when the meadows are in bloom, and nature puts on a really unforgettable show! In any season, but above all in the summer, mountain lovers will be enchanted by the majestic peaks of the Dolomites, and not just because of the breathtaking panoramas: it’s the extraordinary beauty of this natural and unique habitat that attracts visitors from all around the world. The myriad of different trails makes the Alpe di Siusi a real paradise for hikers, mountain lovers and families. 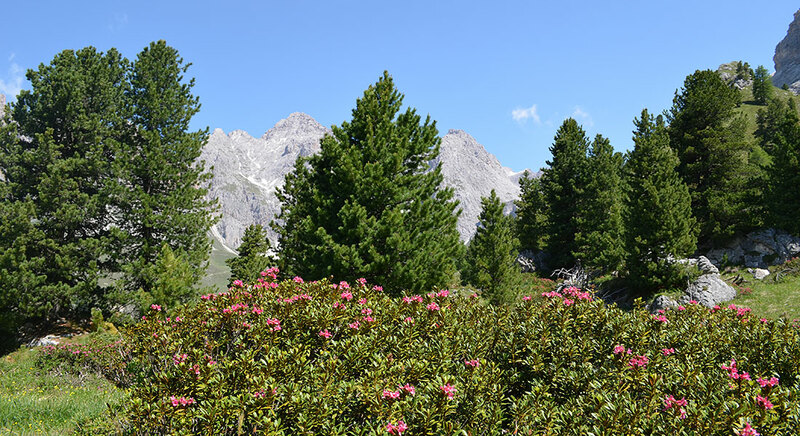 The Alpe ranges in altitude from 1850 m to 2350 m and, extending over 57 km² of meadows and woods, is cross-crossed by a network of well-groomed trails that reveal a different and enchanting panoramic view with each step.